Hey everybody and welcome to my article on the complete breakdown of the ACE CPT personal training exam for 2019. 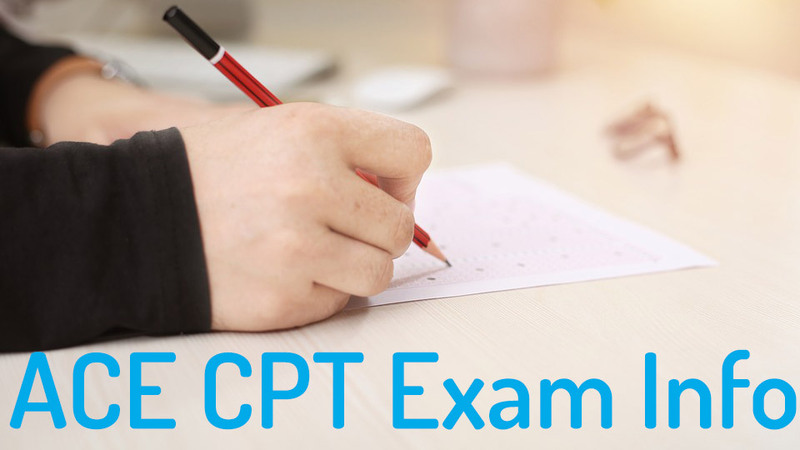 Here you will learn everything you need to know about the exam including how to pass the ACE CPT exam, how difficult the exam is (ACE pass rate), what the test consists, ACE practice tests vs the real test, the ACE test cost, and common frequently asked questions. Let’s stop wasting time and get right into the article. 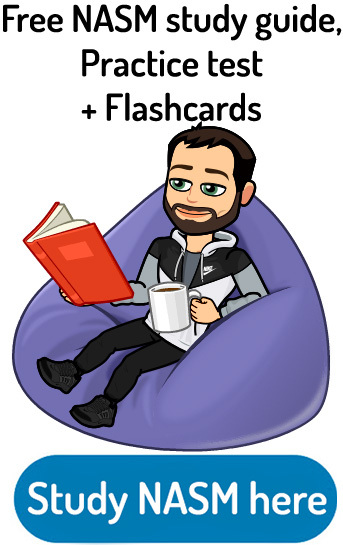 Afterward, if you are ready to start studying, I have a fantastic free ACE study guide and practice test that you can check out. ACE Test difficulty - How hard is the ACE CPT exam? How many questions are there and how long is the exam? What score do I need to pass the ACE test? Are there ACE CPT practice exams? How much does the ACE exam cost? How much does it cost to retake the ACE exam? How long do you have to study for the ACE exam? What are the requirements for the ACE exam? How can you sign up to take the ACE exam? Can you see your ACE certification exam score? Who can I contact for more information on the ACE exam? Something a lot of people don’t realize is that on July 1, 2018, ACE completely changed up the exam content and how they break the exam down. The biggest reason why this is important is that a lot of “test prep” websites or services have not updated their material accordingly and this leads to people focusing on the wrong content while studying for the exam. 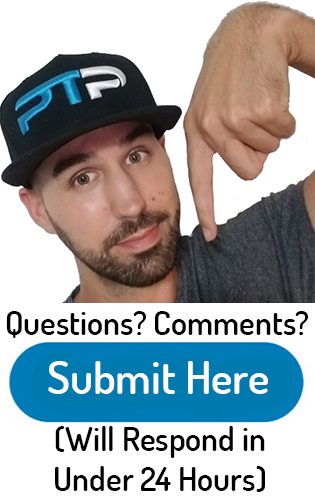 Here at PTpioneer, you can rest assured that I have updated my content accordingly to provide the best test prep information available online in 2019. The exam is broken down into four primary domains. Each domain occupies a certain percentage of the test questions. I will be breaking down what each domain is, their percentage on the test and the relative number of questions from each domain. You will be tested on obtaining comprehensive medical, health, exercise and lifestyle information from clients using interviews and questionnaires to determine their risk for exercise participation. You will be tested on your ability to assess client readiness for behavior change as well as evaluate their attitude toward exercise in order to build rapport and establish goals. You will be tested on movement assessments and observations to develop appropriate exercise programming for enhanced function, fitness, health, and performance. You will be tested on conducting baseline physiological assessments. You will be tested on your ability to establish appropriate functional, fitness, health or performance goals based on your assessments and data in order to design specific exercise programs. You will be tested on your ability to apply appropriate exercise principles and guidelines in order to improve muscular strength, cardiorespiratory fitness, endurance, and flexibility. You will need to know about appropriate exercise equipment and how to integrate them into programs for improving function, fitness, health, and performance. You will be tested on your knowledge of promoting exercise adherence through education, motivation, and modification. You will be tested on your ability to recognize and respond problems with exercise adherence by noticing barriers and providing solutions to these barriers. You will need to know how to evaluate client progress using observations, data and client feedback in order to modify programs. You will be tested on your ability to apply risk management strategies in accordance with guidelines, standards, laws, and regulations in order to protect yourself and your client. You will need to know how to secure client information, communications, and progress in accordance with confidentiality and liability. You will need knowledge on injury prevention and identifying potential hazards. ACE Test difficulty – How hard is the ACE CPT exam? Overall, the ACE CPT exam is one of the most difficult exams in the industry. This is partly due to the fact that the textbook is huge with over 800 pages. Choosing information to constitute a 150 question test from 800+ pages of material is going to result in a very difficult exam for the test-taker. This is what causes a lot of people to have anxiety while going into the test. This is especially true when people encounter very obscure and vague questions that come one single sentence located deep within the textbook. On top of that, ACE uses a lot of vague language when asking certain questions on the exam. It’s almost as if they are trying to mislead you on purpose. So how hard is the ACE CPT exam? Let’s look at the ACE CPT exam pass rates for the last few years. ACE exam pass rate 2017: Out of 20,129 candidates that took the test, only 13,084 passed while 7, 045 failed Resulting in a 65% pass rate for 2017. ACE exam pass rate 2016: Out of 16,070 candidates that took the test, only 10,927 passed while 5143 failed, resulting in a 68% pass rate for 2016. ACE exam pass rate 2015: Out of 13,103 candidates that took the test only 8517 passed while 4586 failed, resulting in a 65% pass rate. These are the most recent statistics released by ACE according to the pass rate for their test. On average there is a 65% pass rate which means one out of every three people will fail the test. The only problem is that these percentages were before they made major changes to the structure and layout of their personal training test. 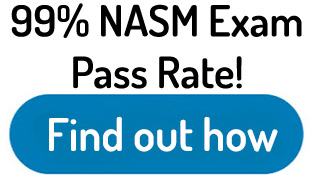 Currently, the ACE personal trainer exam pass rate is almost identical to that of the NASM CPT. This means that a lot of people are studying older study guides and practice tests that focus on different percentages for the four primary domains. My guess would be that this would lead to an even lower pass rate than before. When comparing the ACE practice test vs the real test, you have to take into consideration when the practice test was compiled. The general differences between the practice tests in the real tests. The ACE practice tests are compiled by individuals who do not work for ACE fitness, whereas the real tests are compiled by ACE fitness. ACE practice tests may or may not have been compiled based on the new exam structure for 2018, while the real test is compiled for these new domain percentages. Luckily for you guys, here at Ptpioneer, all of my study materials such as my study guide and practice tests are completely up-to-date for this new testing structure for the ACE CPT. Although I do not work for ACE, I compile my information based on the hundreds of students that take the ACE exam and the questions that they experience on the real test. Here are some other general frequently asked questions for the ACE test. The exam consists of 150 multiple choice questions. You will have three hours to complete the test. Out of the 150 questions on the exam, 25 of them are sample questions that will not be graded. Out of the 125 graded questions you need to answer correctly approximately 90 questions. This will lead to a passing score of 500/800 total. The test is based on a scaled score because some examinations are more difficult than others. Yes, absolutely there are practice exams. You can check out my free practice exam and study guide here. There are practice exams that come from ACE themselves but they are reported by many students to be very different from the actual exam. On top of that, they charge you way too much money for them and don’t provide that many test questions. ACE provides different packages to choose from that will contain various study materials. To see all of the packages that are available you can check out my full review on ACE right here. The exam only option cost $399. This comes with no study materials, not even the primary textbook. If you happen to fail the exam on your first try, you will have to pay a test retake fee of $199. This is why it is very important to pass on your first time around as it can get very expensive if you keep on failing. After you enroll for the exam, you will have six months to study for it, set a test date and take the test. You were required to be 18 years old, hold a current CPR/AED certification (from an approved course provider), be a high school graduate (or equivalent). There are more than 500 exam taking locations throughout the United States and Canada. You need to contact one of these facilities to set and exam date. Here is the exam registration site where you can see the locations and contact information. Yes, you can see your exam score whether you pass or fail the exam. After taking the exam, you can log into your ACE account online and view your score under the “my examination information” section. You can see how well or poorly you did in each of the four domains. You can use this information for refocusing your studies in case you fail the exam. In order to get more information on the ACE test, you can contact their exam registration department at 1-888-825-3636 extension 783. You can also email them at examregistration@acefitness.org. Well ladies and gentlemen that’s about it for my full breakdown on the ACE exam. Overall, this test is extremely difficult with only 65% of people passing the exam. 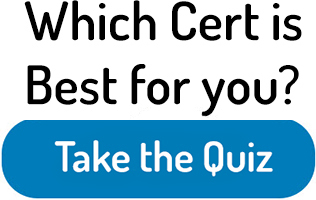 If you are still are not sure whether or not ACE is the right certification for you, I recommend Taking the quiz to find which certification best fits your training style. This is partially due to to the fact that the textbook is massive and very difficult to understand exactly what areas you should be paying attention to and which areas are not as important. 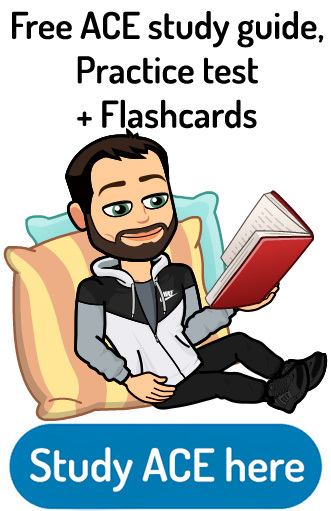 If using third-party study materials such as practice exams, study guides or flashcards I would make sure that their information is up-to-date for the new test structure at the end of 2018. If you are looking for a fantastic study guide and practice tests, we have a completely free study course here at PTpioneer that I highly recommend checking out. Until next time guys, good luck with your studying and continue your pursuit of being a fantastic personal trainer.